The technology developed by Pavan allows to manufacture good quality pasta with every kind of flours. 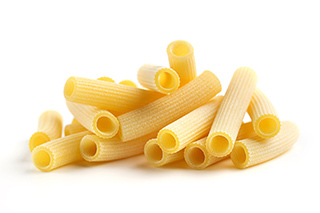 The percentage of protein present is fundamental to the quality of the pasta as it gives strength to its texture. 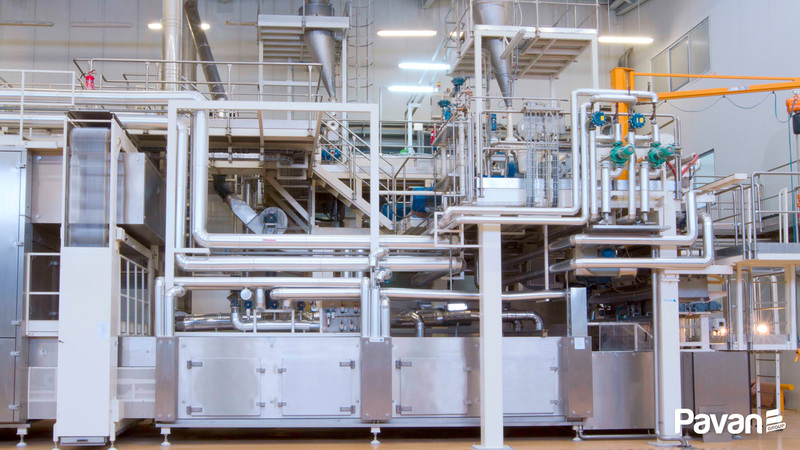 By applying technologies such as TAS, climatic zones and vacuum, it is possible to make excellent end products even from flours with low protein contents. 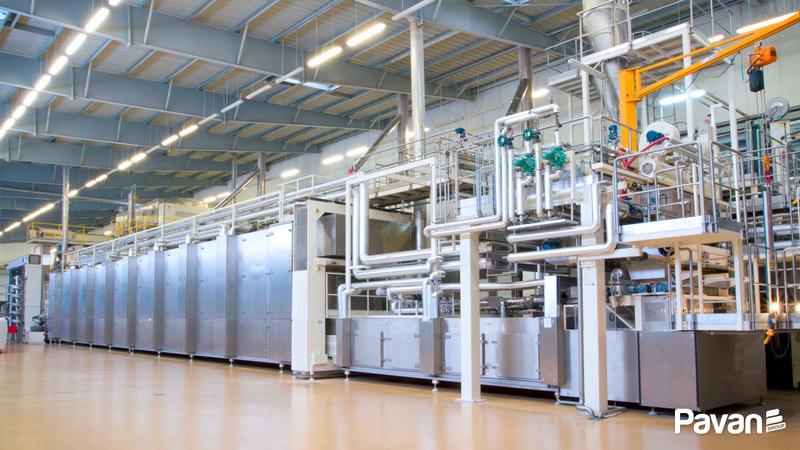 High temperatures are excellent for processing products made from weak flours and bread wheat flours with low protein contents because they facilitate coagulation and improve the quality of the pasta. 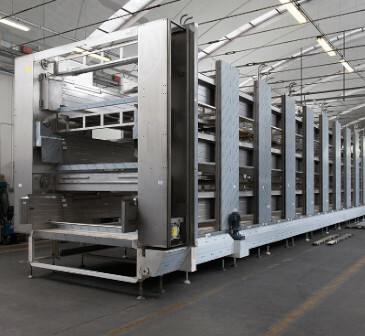 This mixed system features a pre-drying stage in which the just-extruded nests are placed in cups where they remain until they exit the pre-dryer. They are then deposited onto belts that transport them through the entire drying process. Low-shear stainless steel compression screw. The variable pitch and broad diameter of the screw, combined with an ideal rotation speed, allow for gradual compression and a more homogeneous dough. Laminating roller unit positioned under the extrusion head; removable for the production of directly extruded products. Nest making device with 12 or 24 tubes installed directly under the press die. 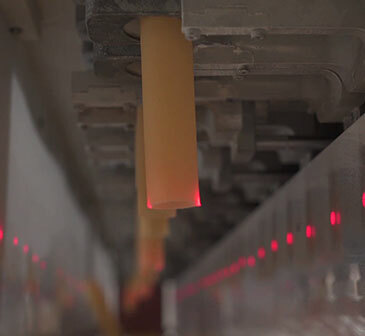 With conveyor tubes in transparent food grade material for checking the length of the pasta strips. The nests sent to the pre-dryer in cups are subjected to strong ventilation to achieve the ideal shape and prevent sticking. This machine is comprised of two sections. During the first stage the nests are pre-dried still in their cups until they reach a suitable rigidity. During the second stage the nests enter the main dryer on a conveyor belt. This area acts as a buffer with loading and unloading stages regulated by automatic sequences based on presets that can be programmed by the operator to adapt to different packaging requirements or to manage the production of different types of nests. This extensive application of vacuum technology provides many advantages for the finished product. The hydration of the semolina is more homogeneous and this reduces defects and white specs. The vacuum allows for the addition of a greater quantity of water during the mixing stage, which improves the formation of gluten. 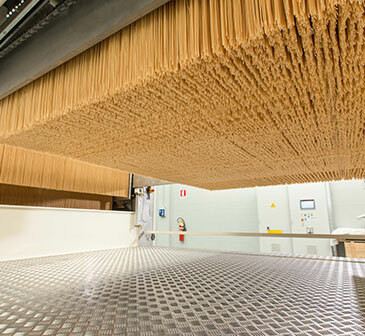 The evaporation effect caused by the vacuum lowers the temperature of the semolina during the mixing and extrusion stages; this prevents thermal stress and results in a pasta with better cooking performance. The gentle shaping stage results in pasta with brighter colours. The complete vacuum blocks the enzyme Poliphenol Oxidase, responsible for the oxidisation of the semolina pigments, thus preserving the amber yellow colours given by the carotenoids and flavonoids. The vacuum also deactivates the enzyme Lipoxygenase, responsible for turning colours grey and the development of unpleasant odours caused by the oxidation of the lipids. The partial deactivation of alpha and beta amylase leads to a reduced occurrence of the Maillard reaction, i.e. the pasta turning brown during drying.